At AXIS, we’re proud of our global footprint – we have simulators in Asia Pacific, the US and across Europe; and different parts of our company are based in Canada and Switzerland, as well as in our home town of Lebring, Austria. 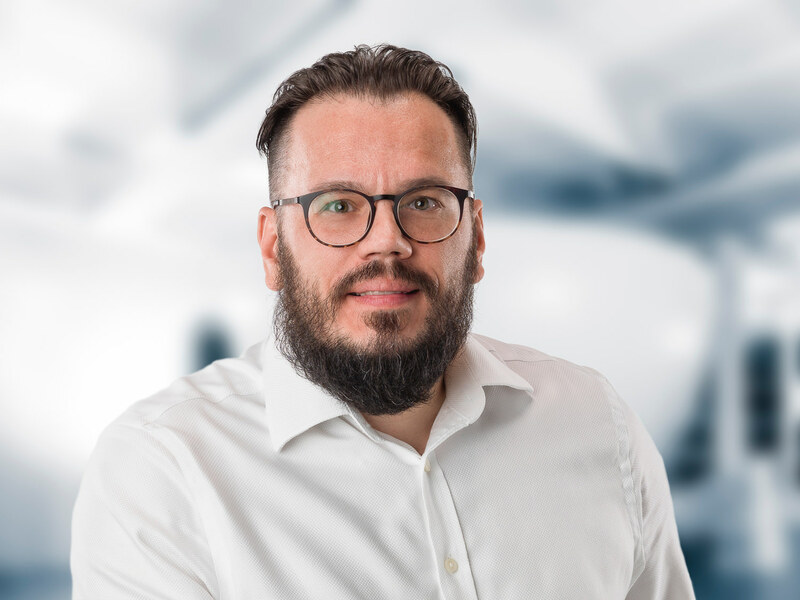 Today, our ‘introducing’ series ventures over our mountainous border to Zurich, where sales director Audrius Norus fills us in on his role at AXIS Simulation Switzerland. Up until 2009, all my previous experience was in the IT industry. However, in 2009, one of the biggest aviation influencers in the industry – the founder of Avia Solutions Group – asked me to join his company, so I came on board as VP of sales. Aviation is a challenging industry to get into with no experience. The person who’s now running the group taught me personally, which was a very good foundation for me to build on in terms of knowledge. In 2010, I was tasked with bringing full flight simulators into Avia Solutions Group, which was my first introduction to the world of aviation training. I reached out to the president of a major simulation company over LinkedIn, and 11 months later we signed an agreement, bringing a simulator in house, as well as giving us access to a much wider network of full flight simulators. As a result of the deal, I was awarded full oversight of the recently founded Baltic Aviation Academy. So, from selling a wide portfolio of products, suddenly I had to narrow my focus down to aviation training technologies. During my time there, we overcame some big challenges, moving our focus from Russia and Europe to Asia Pacific customers. For two years I travelled back and forth from the region (my longest business trip was 85 days), and during that time I visited almost every country in Asia. We won contracts from a wide variety of airlines, from Nepal to Thailand and Myanmar. At the same time as leading Baltic Aviation Academy, some of the group’s sister companies were also interested in expanding into Asia Pacific; so I did some work for Helisota, a company providing MRO (maintenance, repair and overhaul) operations for helicopters. In March 2017, I joined AXIS Simulation in Switzerland, taking responsibility for reaching customers from different sides of the market, from small ATOs to major airlines. Above all, my role involves finding opportunities for AXIS – gaps in the market where full flight simulators are needed; which type of training device is required; and how will it improve that particular business. As my background is in IT (I have a master’s degree in the subject), I’m used to working according to a certain algorithm. Now, I take the same approach, doing extensive research on a potential customer or new location before initiating contact. The most important thing is to find the right person, the decision-maker. I work extensively with LinkedIn and use my network of connections across the globe to start conversations and gain recommendations of who to speak with. You can be much more confident in your communications when you know that you’re taking a targeted approach. You can’t complete a contract in a day, week, or even a month. It can take six months to a year, in which time you should be maintaining a close relationship with your customers and contacts. Therefore, a large part of my day involves taking trips to visit our clients or making calls and sending emails. Listening closely to our customers and hearing them when they talk about their needs is absolutely key. The best part of my job has to be meeting new, fascinating people from all over the world. Taking them from the inception of learning about your service, through to building trust in the product you’re offering and the journey they’ll take with you is intensely rewarding. I receive a lot from every customer I build a relationship with – a lot of information, stories and perceptions. This is a very valuable, non-physical asset that I carry with me every day. I love sports, particularly ice hockey. I spend a lot of time on the ice myself, and my son also plays, so we work on his improvement together. While I’m travelling, my main interest is in film – mainly European work over that from Hollywood. It’s a good way to unwind during a layover, while you’re away from home or after a meeting.